The Diaper Bag is 8" deep and 12" X 16". It has a center divider and lots of pockets. The technique is quilt-as-you-go. 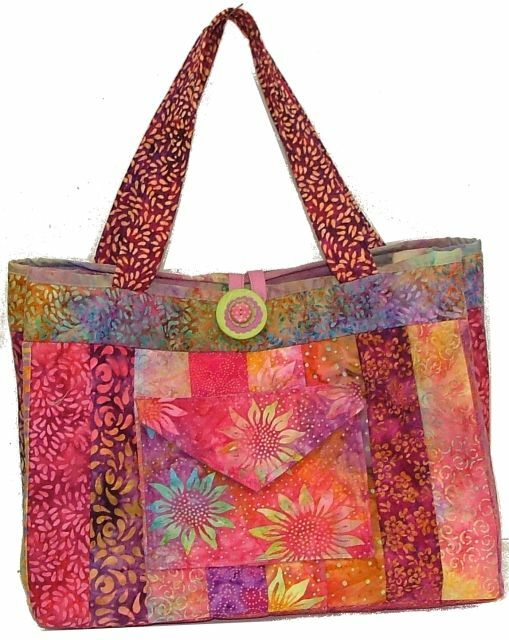 You can also use this bag as a craft tote.